After countless backcountry hunting expeditions, the MSR WindBurner Duo has proven itself invaluable. It boils a lot of water quickly, which means less waiting for morning coffee and sunset dinners. 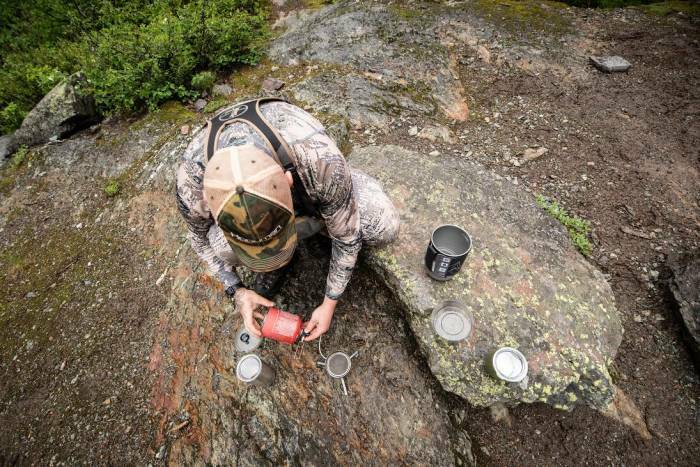 If you hunt in the backcountry, you know it’s common to share a stove with a friend, taking turns for meals. But after using the MSR WindBurner Duo for several months, I realize this is a thing of the past. 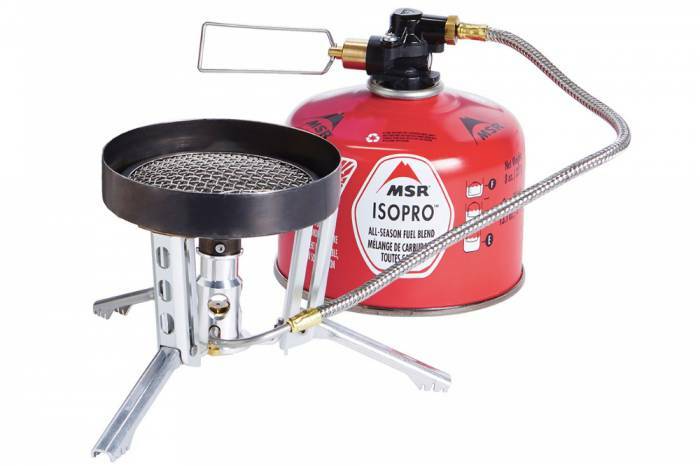 The MSR WindBurner Duo has a 1.8-liter pot, enclosed burner, and pressure regulator. Thanks to the size of the pot, it’s ideal for two people, but I’ve found it works for solo missions as well as small groups. There are bigger options on the market, but I’ve found the MSR WindBurner Duo balances fuel efficiency and pot size in a nearly perfect package. I tested this stove morning and night (and often midday for coffee). I’ve tallied close to 50 days in the field this year, and I don’t have any major complaints about the unit. In western Canada, I went on four black bear hunts. I also went on two mountain goat hunts and one badlands mule deer hunt. These were all backcountry hunting and camping trips. The boil times are significantly faster than those of other stoves I’ve used. The MSR WindBurner Duo managed to boil 1.8 liters of water in the time it took other stoves to boil 1 liter. At 1,890 feet of elevation, I boiled water in 4 minutes 41 seconds. As expected with alpine elevations, the boiling times are slightly different. Typically, it took 4 minutes 40 seconds to 5 minutes 15 seconds. Even with winds and different temperature conditions, the MSR still managed to boil within that timeframe. I didn’t test the MSR WindBurner Duo at high elevation above 10,000 feet. But I tested the stove’s limits on mountain goat hunts pushing elevations of 8,600 feet. At this height, it boiled water fast. The results were more than satisfactory. Versatility: Too Big for One Person? A lot of people will think the 1.8-liter size is too big for solo use. But unless you’re tight on space in your pack, this isn’t true. 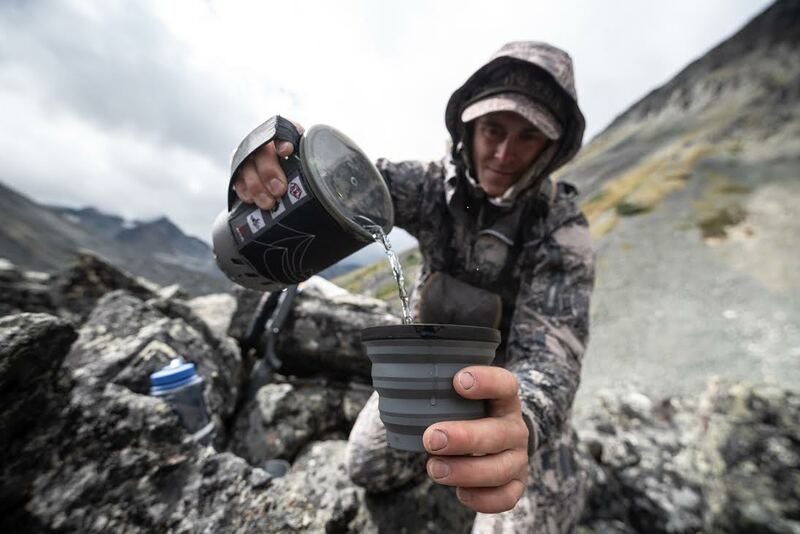 Being able to heat up water for an evening Mountain House meal while simultaneously making a hot drink might not sound like much, but it’s comforting. The system comes with the 1.8-liter pot. 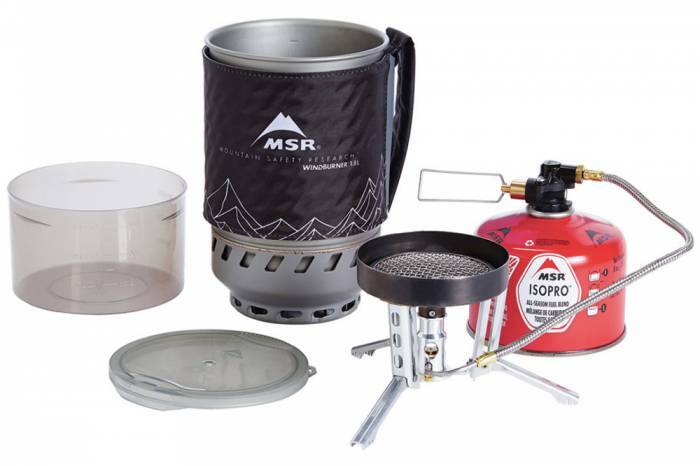 But if you want a smaller pot, a frying pan, a larger pot, coffee presses, etc., MSR offers all of these options to fit on the WindBurner platform. This stove has two things in common with the MSR Reactor stove system: boiling speed and wind resistance. 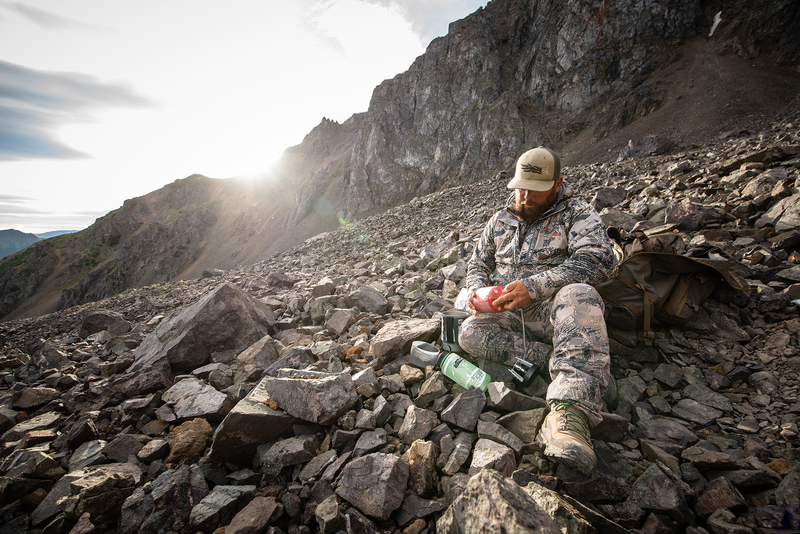 Wind is something that’s all too common when hunting in the backcountry. For more details, check out the specs below. While I’m thoroughly impressed with the WindBurner Duo, I still have some critiques. The outer material is designed to keep your hand insulated from the pot. On occasion, this material pops the lid off when pouring. This is easily avoidable but something to watch for. The stove unit sits beside the fuel canister with expanding legs. This seems to be a spot where weight could be shaved. And I’d love to see a mount directly on top of the canister, like the smaller MSR WindBurner Personal Stove System. Lastly, the cup isn’t necessary, as it adds weight and isn’t particularly valuable. 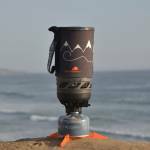 Overall, the MSR WindBurner is better than many other stoves. While a stove’s job is simple — boiling water and cooking food — this one excelled. It burned fast, letting me pack less fuel, boil water quickly, and eat sooner. Give the MSR WindBurner Duo a shot for $180 to see if it works for you. Nick Trehearne is a professional hunting and wildlife photographer based in Prince George, British Columbia. With a passion for mountain hunting, Nick spends over 150 days per year afield, where he can really test gear.